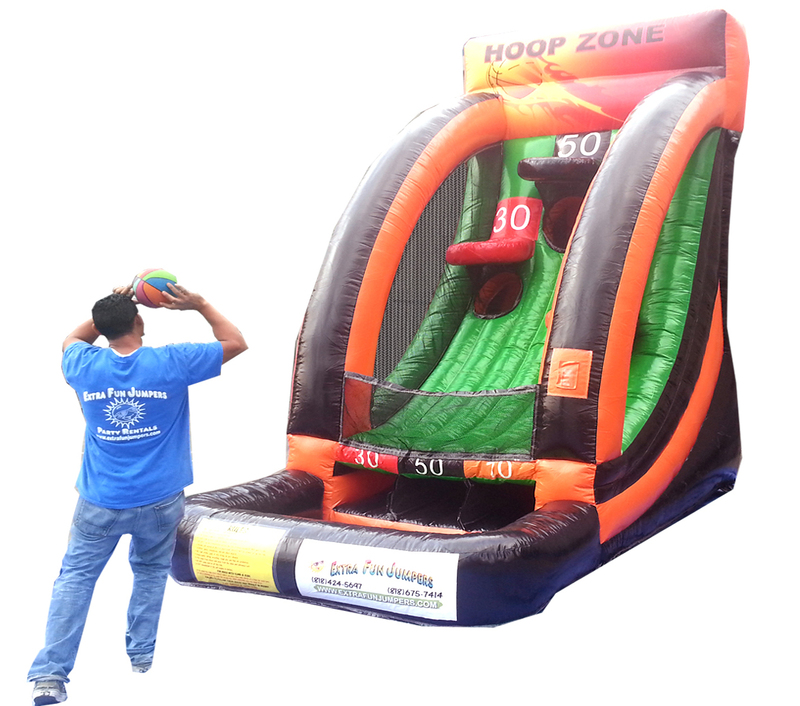 Hoop Zone Inflatable Basketball is a great addition to any event from corporate parties to company picnics sporting events and more! Players have 3 shots to score as many points as possible in this game. The balls collect in the various point tubes. 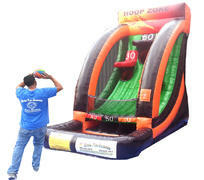 Our client’s will love this basketball game that allows guests to complete. Great for team building, corporate picnics and parties. This game comes with 3 Basketballs.